Introducing the best value hitting and pitching net on the planet. The KingKong boasts the revolutionary Spring-Flex corner design for maximum strength and flexibility. Durable fiberglass frame sections and bungee cord features makes the KingKong Fast Net quick and easy to set-up and take-down. 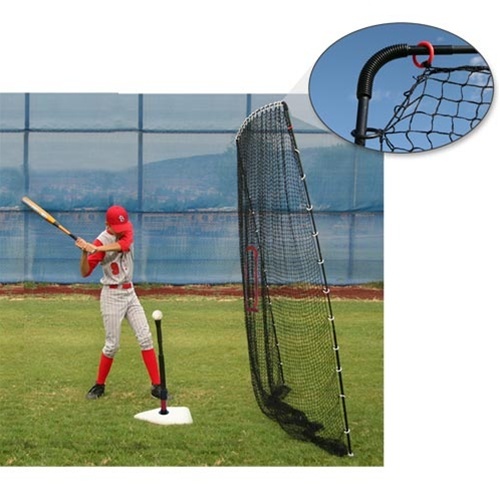 With the strong 1” poly netting the KingKong is perfect for baseball and golf use. 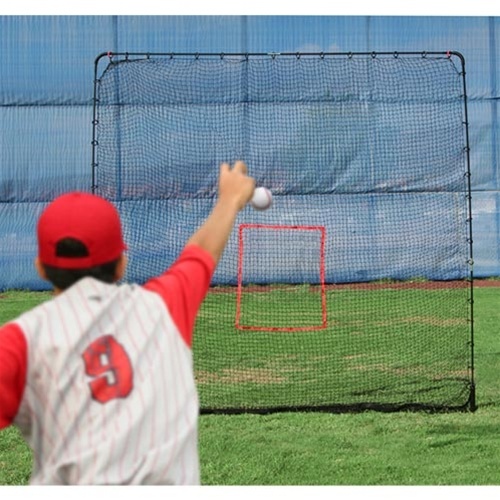 Use with the Infini-Tee Batting Tee or the Scorpion Soft Toss Machine because KingKong can catch anything. 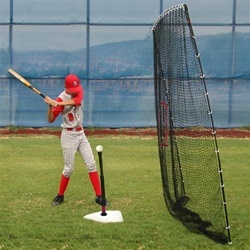 Easy to set up and great for my son hitting baseballs into. Only issue I see is that it tends to lean to far forward towards the hitter. Had to tie the top back to a tree.